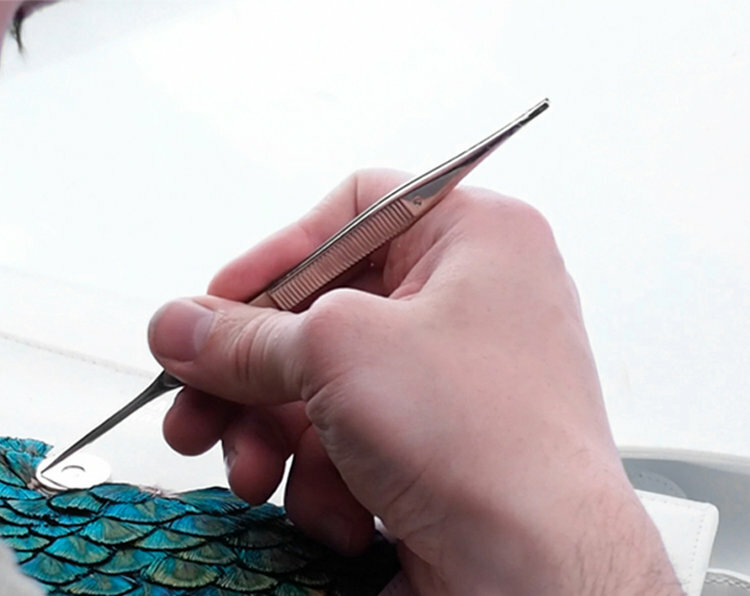 The fine near-forgotten art of Plumasserie —the skilled craft of preparing and applying feathers by hand— is a lost tradition dating back to Haute Couture houses of the 1800’s. Through the "Plumasserie de Haute-Façon" selection, SACCO BARET celebrates the essential relationship between the plumes and the artisan, that leads to a one of a kind piece. SACCO BARET is proud of its commitment to sustainability and continues its cruelty-free feathers practice of ethically sourcing naturally molted feathers. To ensure ethical treatment of exotic species, SACCO BARET works in accordance with CITES.